Cabanons Riopel. The ideal shed for your home. Cabanons Riopel, The ideal shed for your home. Nothing easier, in a few intuitive and quick steps, you can choose and visualize your future shed. Choose the model, doors, windows, color, type of vinyl or shingle and possible layouts. In this way you can already anticipate the construction of your cabanon according to your tastes. In addition, when you have completed your creation, you have the option to send us your final model so that we can submit a free estimate without commitment on your part. Cabanons Riopel is a family business that has been putting all its energy towards building the best garden sheds for 40 years. 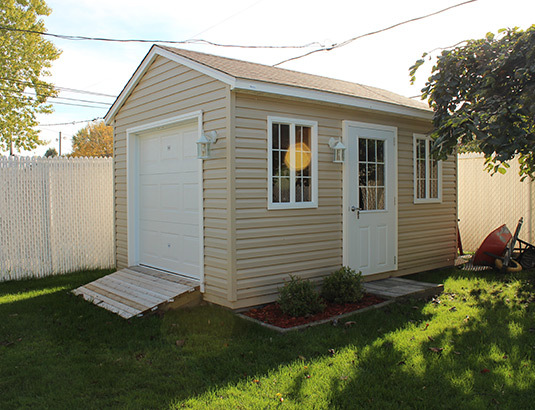 If your needs are for a house, a commercial building or an apartment building, we have a shed created especially to fulfill them. 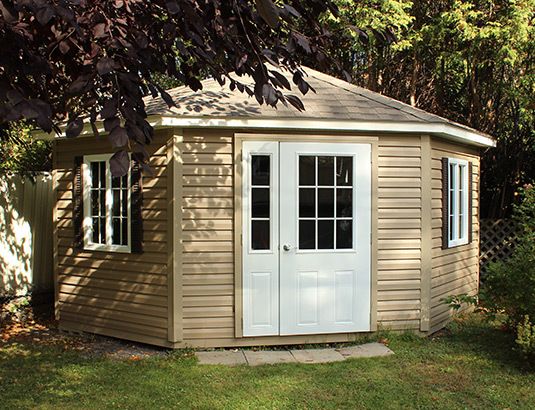 We offer many options for your shed, like custom fabrication on top of our eight basic models. Cabanons Riopel will be able to satisfy all and enhance the value of your property. 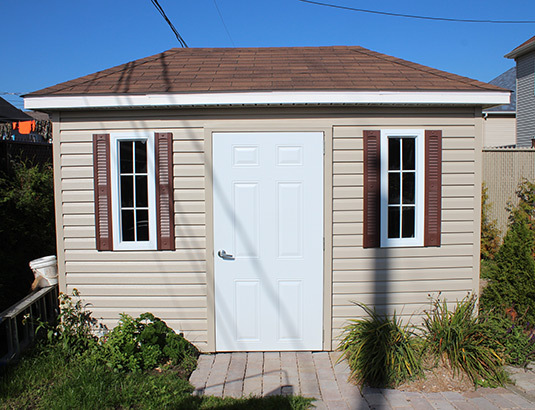 Your garden shed is built right here, in Quebec, by builders that are proud of the quality of their work. Your Riopel garden shed was designed by people from here and built for our climate. 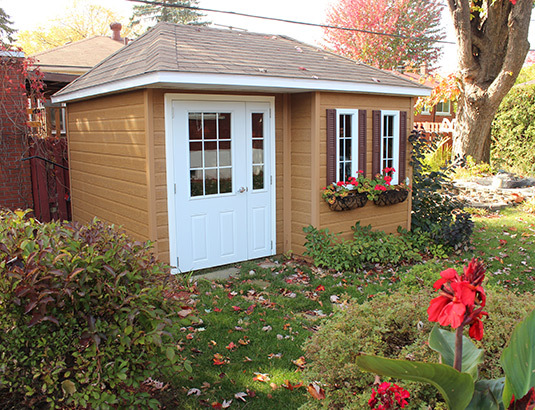 Communicate directly with us to get more information on the ideal garden shed. * In factory only. Certain conditions apply.